Singer Lee Min Woo from Shinhwa will be facing his first drama challenge with 'Me Ri, Dae Gu's Attack And Defense Battle'. Lee Min Woo plays 'Seon Do Jin' who works as a middle school teacher. He's also Me Ri's first love/ classmate in elementary school and Dae Gu's school senior. He begins to 'stick' around Me Ri's side to help her out as he pities the situation that she's in. Along with plastic beauty ' Lee So Ran', all four of them get caught together in a whirlpool of circumstances. So it's Minwoo?!!!! OMG, now will definitely, definitely watch this. Two of my faves, Hyunwoo and Minwoo!!! Minwoo playing a schoolteacher? That I really have to see. Problem though if there characters clash, now I'll really be torn between the two. yeeyyyyy!! now ill surely wait for this. minwoo fighting!! hehehe oohhh he is a teacher here. cool. so now all we have to do is wait till the day comes. hehehe! It is SINGER LEE MINWOO [From the article]! NOT Lee Min Woo from Pure 19. Cute, a middle school teacher! I cant wait to see him act! holy snap! its minwoo from shinhwa??! why are all the members coming out in dramas? nevertheless, yay! and can't wait to see JHW, WBN, LHN too~! Wah!! 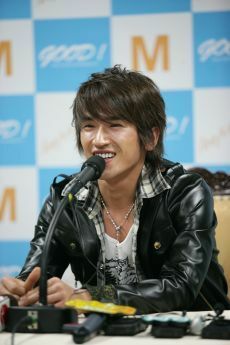 So..it's Minwoo of Shinhwa. Yay!!! Cant imagine him being a teacher. For Minwoo, I'll wait for this drama. Wanna see him act. Will he be dancing here as well? Who is actually the main female lead. On Wiki it has Lee Ha Na as the main lead? Actually Wang Bit Na was the first to be confirmed for the drama, so her news was out first. I found it funny for her name to be 'So Ran' while the title was Meri & Dae Gu's Attack And Defense Battle. Sandy and I couldn't find the right translations for the first 4 words at first although we checked our dictionary as well. Then, the work schedule came out.. Ji Hyun Woo was the next one to be confirmed. Although Lee Min Woo's name came out at the same time, all of us thought that it was Lee Min Woo the actor not the singer. Next the DC relations pic came out and it shows Lee Ha Na as the lead along with Ji Hyun Woo. Lee Min Woo the singer was confirmed last as his news only appeared in Daum today as the relations pic has Lee Min Woo the actor instead. hehe, JHW first with hwanee and now with minwoo. He always has a tough competition. I remember OTR's thread were bombarder with comments from Hwanee's fan?*. Nobody seemes to like him then. But I beleive now is different..way to go to the drama!!! !